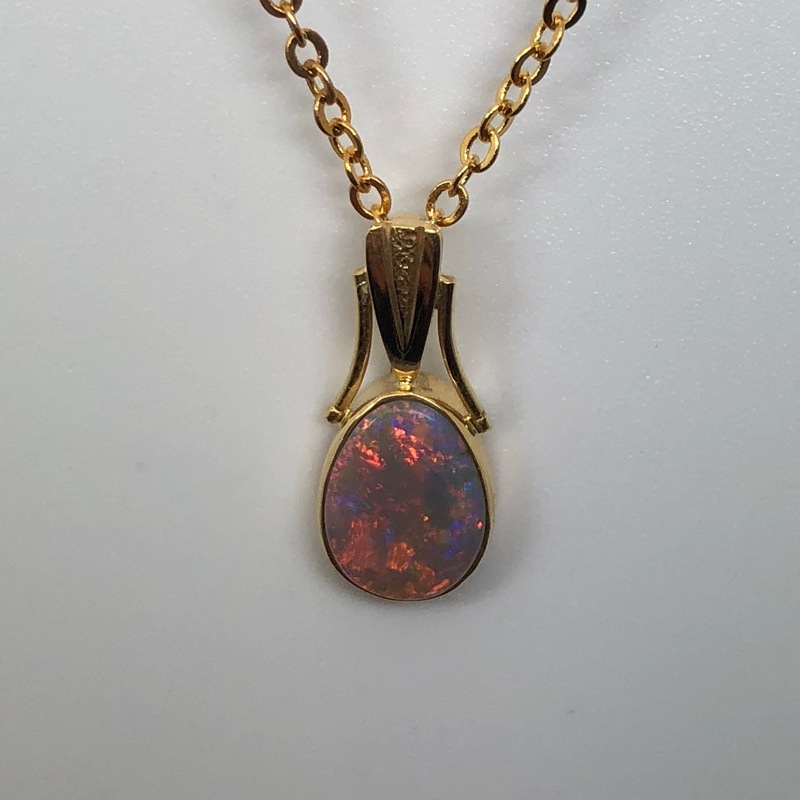 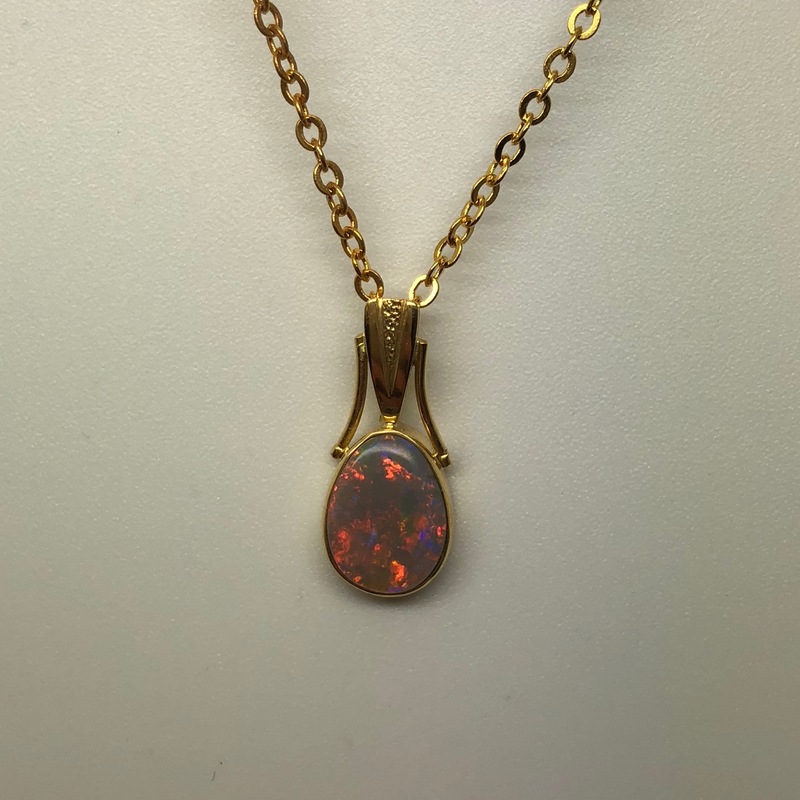 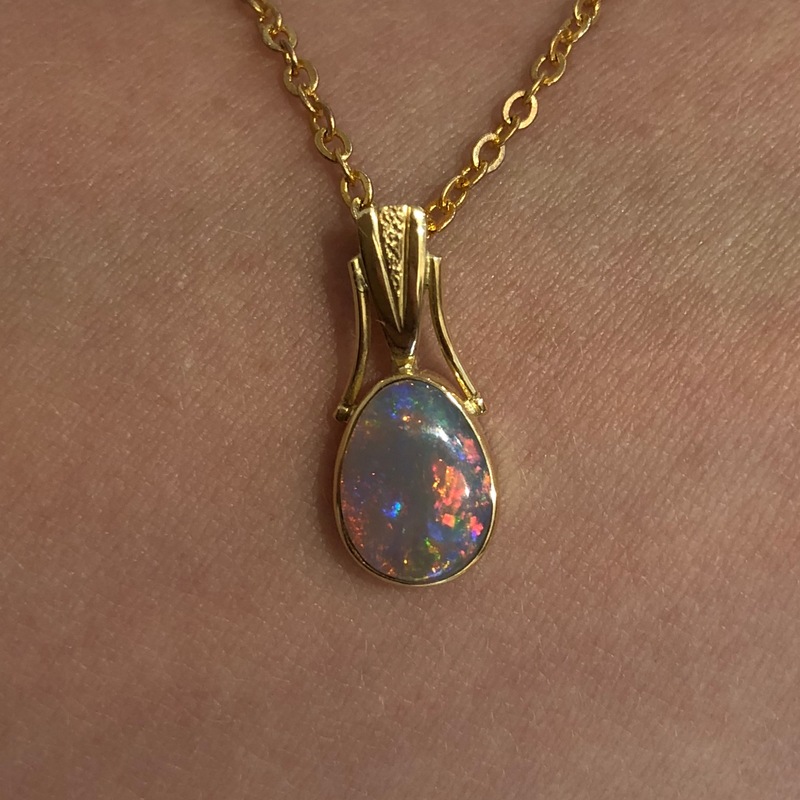 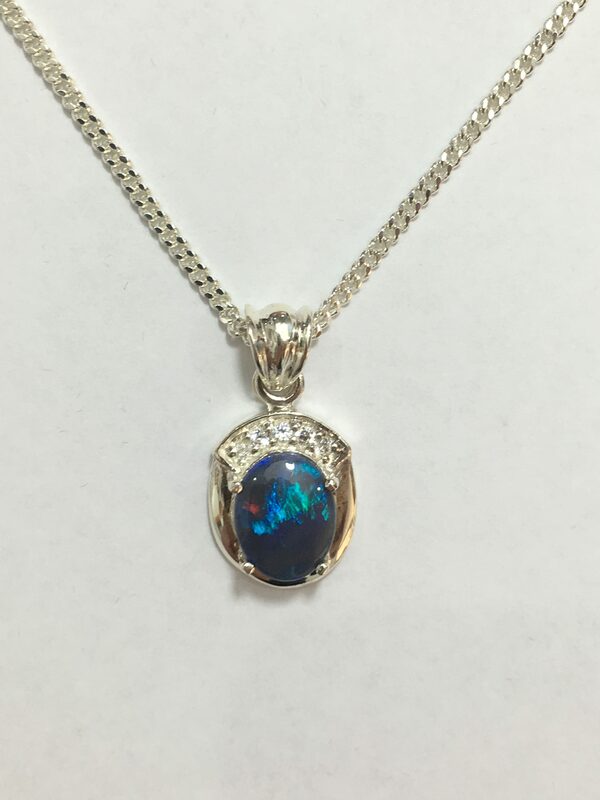 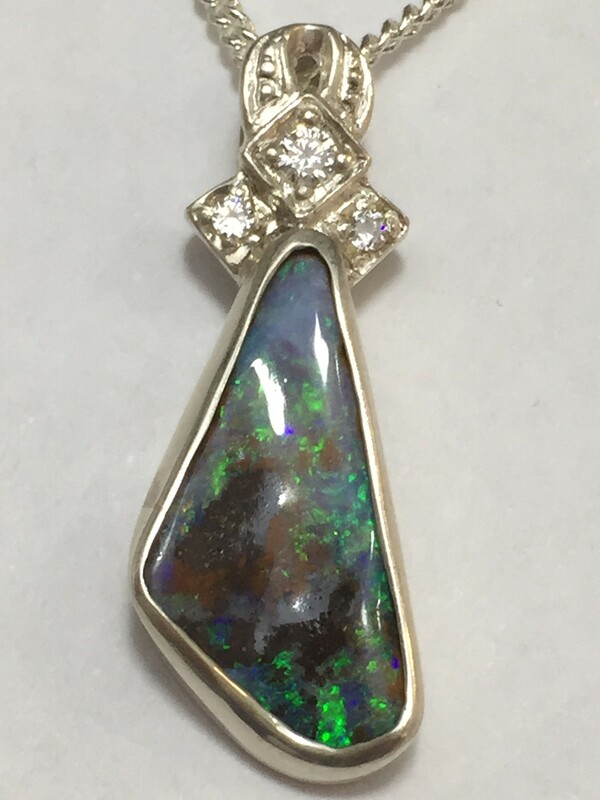 18 ct yellow gold, hand made opal pendant. 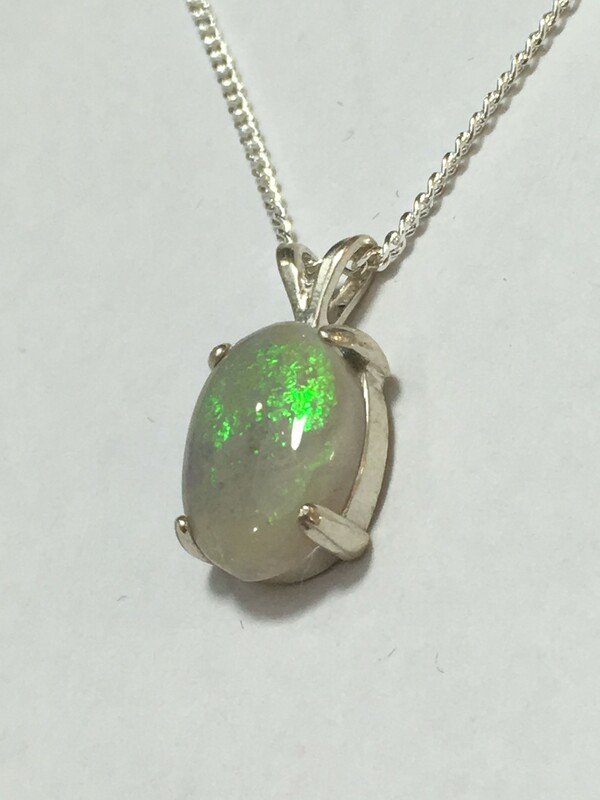 This beautiful grey crystal, has so many different patterns and colours such as red, orange, blue, purple and green. 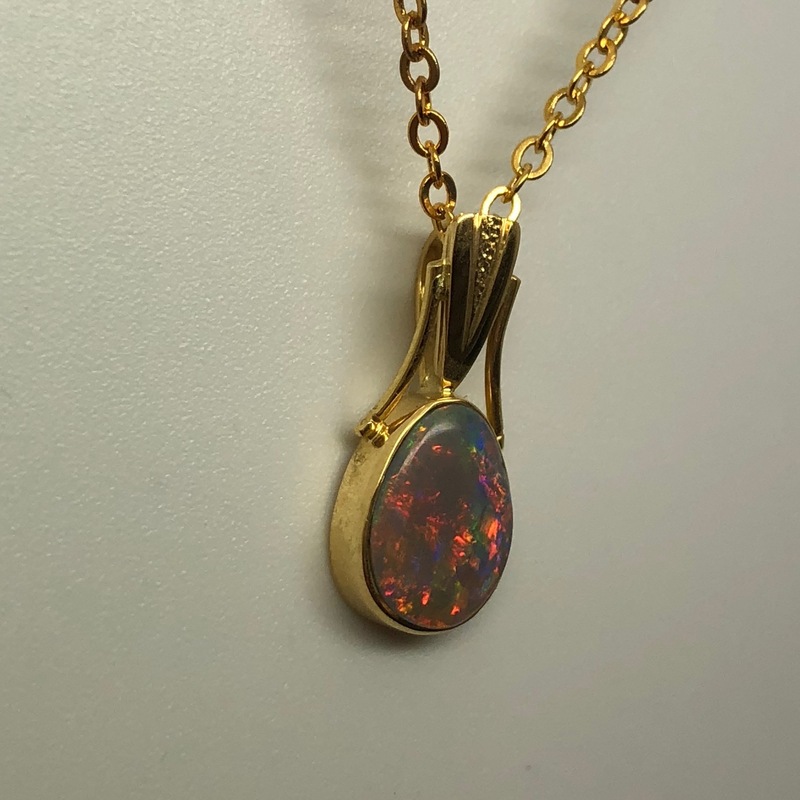 Comes with a complimentary gold plated display chain.